It’s not uncommon for homes in Annapolis, MD to get hammered during wintertime, which can do a number on your outdoor plumbing. As temperatures begin to rise and the weather gets warmer, it’s always a good idea to perform an inspection of the outside of your home and perform maintenance to ensure everything is in top condition throughout the spring. Ignoring these tasks could result in further damage and costly repairs to your home’s plumbing system. Make sure your outdoor plumbing can handle the spring climate. Here are some tips to help your home through the season. 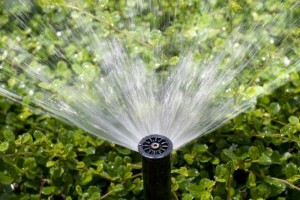 It’s a good idea to run your sprinklers as soon as the weather becomes warm enough. Run water through all the sprinkler heads to ensure they’re working properly. If there are any problems, conduct a thorough cleaning or contact a professional plumber to solve the problem. Don’t forget to inspect the hoses to see if there are any cracks or leaks. 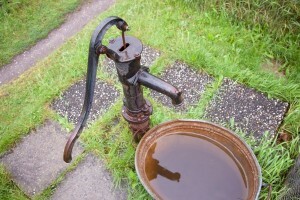 This could affect water consumption and how your lawn gets watered. A leaky hose can waste thousands of gallons of water every month, depending on how often you use your home’s outdoor plumbing. Before spring is in full swing, check all hoses and connections for cracks or anomalies. It’s easy for hoses to become damaged by cold winter temperatures, even if they’re not connected to any plumbing. It might also be worth it to call in a professional to conduct a leak inspection on all components. They will be able to quickly locate and patch up any problems. 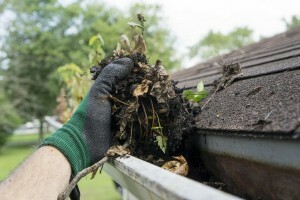 One of the first things you should do when the snow melts is clean out your gutters. A lot of leaves can accumulate during the fall and even more dirt and debris during the winter, which can impact drainage capacity. This can cause clogs and backups, which can wreak havoc if obstructions aren’t cleared before any rainfall. The result could be flooding and water damage to your property. The best way to avoid these problems is by cleaning out your eavestroughs as early as possible. 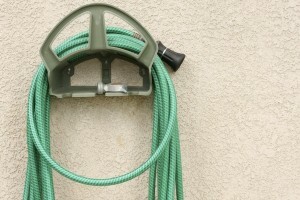 Before you connect any hoses to your exterior faucets, turn them on and off again. If the faucet begins to drip, you may have a problem on your hands. It could be the result of a broken pipe or something as simple as a worn out washer. Either way, it could waste thousands of gallons of water and cause damage to your home and result in standing water around your property. You should have a professional diagnose and fix the problem as soon as possible. By performing an inspection of your home’s outdoor plumbing system, you can save yourself a lot of time and money by identifying any problems early. Always remember to conduct these simple maintenance steps at the beginning of every spring.